If your not happy with the repairs on your vehicle, the first thing to do is make your insurance company aware! Legally you have to allow the original repairer the opportunity to rectify any issues that have arisen and that you are not happy with. If the areas of concern are slight, we would suggest raising the concerns with the bodyshop manager ,detailing them, putting in writing what they are. If they are more serious, ie mis-alignment of body panels, or miss match of colour,arrange for an independent engineer to inspect your vehicle. Obtain a copy of the original estimate and pass this on to the inspecting engineer, be present when they inspect to discuss your concerns with them and the bodyshop manager. If after allowing the repairer the opportunity of rectifying the vehicle , you are still not happy with the repairs,and your concerns are valid. We can arrange another inspection to validate, and you then have the right to have another repairer rectify the issues raised. Your insurer and the original repairer are liable for this, and they have to re-imburse you the cost of the inspections and rectify the vehicle. Should this not happen we can advise as to how to take this to court on your behalf. 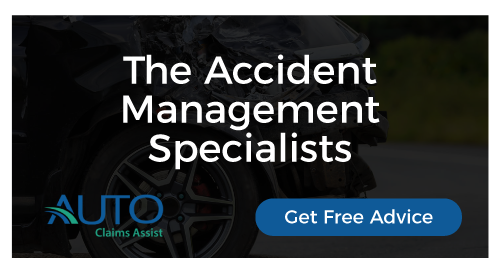 Each case is assessed on it’s own merits and we can talk you through the process ,deal with your insurer should you require,and advise as to the best course of resolution available.